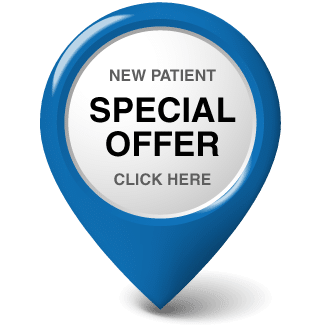 We welcome you to the official website for Aspire Chiropractic & Massage, proudly serving residents of Gresham, OR and surrounding areas of Gresham, Fairview, Troutdale, and East Side Portland. Our chiropractor in Gresham and the rest of our caring team are committed to improving and maintaining your health, comfort, and function through non-invasive, drug-free techniques. Our services are designed to help your body help itself, boosting your entire family's well being. If you've been looking for a chiropractor near Gresham, you'll be glad you discovered Aspire Chiropractic & Massage! Our Gresham chiropractor, Dr. Mark Betsill, learned his skills right here Oregon, receiving his Doctorate of Chiropractic degree from Western States Chiropractic College. Dr. Betsill was inspired to pursue a chiropractic career after this healing modality relieved his own nagging back problem. Another health crisis during the time he was earning his degree led him to discover the enormous benefits of other conservative techniques such as massage therapy, nutritional changes, and exercise -- techniques he often combines in an integrated healing and recovery plan. Dr. Betsill uses both traditional manual chiropractic techniques and instrument-assisted methods, with a special focus on correcting herniated discs in the neck and lower back. Chiropractic adjustment - Manual or instrument-assisted chiropractic adjustment can correct alignment problems in your spinal or extremity joints, easing stresses and strains while promoting a higher level of function. Spinal traction therapy - This variant of chiropractic care uses mechanical flexion distraction to decompress the spinal column, relieving symptoms caused by bulging or herniated discs. Massage therapy - Our team can employ a variety of massage techniques, each with its own benefits. Massage therapy can be used alongside chiropractic care to relieve acute pain, reduce inflammation, improve circulation, and facilitate healing. Corrective exercises - When you need to regain strength and range of motion following an accident injury, surgical procedure or major health challenge, our team can provide you with a personalized course of corrective exercises. Nutrition and lifestyle counseling - Changes in your diet, nutrition and lifestyle routines can play a role in managing chronic symptoms and optimizing your health for life. We can offer personalized guidance to help you and your loved ones thrive. Preventative care - We not only treat painful or debilitating problems; we also prevent those problems from occurring through regular spinal screenings and other "maintenance care." Now that your search for a skilled chiropractor near Gresham is over, come and meet our team in person. Call (503) 618-0147 or use our online scheduler to make that initial appointment!